NORFOLK, Va. ­­— CSX Transportation Inc. is suing Norfolk Southern Railway and the Chesapeake-based Norfolk & Portsmouth Belt Line Railroad, alleging that they have conspired to create a monopoly at Norfolk International Terminals by essentially boxing out CSX at the Port of Virginia’s largest container facility. The case, filed in Norfolk federal court, also names as defendants three Norfolk Southern vice presidents and the president of the Belt Line. It weaves threads that include railroad history going back more than a century, port rail logistics and the competitive position of the Port of Virginia. Norfolk Southern and the Belt Line declined to comment. The Belt Line is a local “short line” railroad that operates more than 26 miles in Norfolk, Portsmouth and Chesapeake. It specializes in breaking down big freight trains and delivering, among other things, intermodal containers — the cargo-carrying boxes seen all over the region — to facilities around the port. “NS and the NPBL have used the NPBL as a chess piece to establish and maintain NS’ monopolistic control over intermodal transportation in and out of [Norfolk International Terminals] by making it practically impossible for any other rail carriers to provide intermodal service to NIT,” the suit alleges. More cargo arrives and departs the port by rail — 37% — than at any other U.S. East Coast port. The suit states that while Norfolk Southern’s market share in Hampton Roads exceeds 70%, it is about 90% at NIT. The Belt Line was formed in 1896, when eight railroads with operations in Hampton Roads agreed to build and operate a belt-line railroad connecting various tracks “that would enable the interchange of cars among the railroads and connection to the port, among other facilities,” according to the suit. Through consolidations and mergers, those original eight railroads had morphed into just two by the end of the last century: CSX and Norfolk Southern. Norfolk-based Norfolk Southern, however, wound up owning 57% of the shares of the Belt Line and CSX the rest. For at least the past decade, Norfolk Southern has put its former employees in all management positions of the Belt Line and current or former Norfolk Southern employees in four of the six voting seats on the Belt Line’s board of directors, along with one nonvoting director, the suit alleges. Florida-based CSX controls two of the voting seats on the board. Three of the six voting Belt Line directors hold leadership positions at Norfolk Southern and are named as defendants in the suit: Jerry Hall, vice president of transportation; Thomas Hurlbut, vice president and controller; and Philip Merilli, vice president of engineering. Another voting seat on the board is held by Cannon Moss, president and general manager of the Belt Line. He also is named as a defendant and is a former Norfolk Southern employee nominated in 2011 at Norfolk Southern’s direction and elected by vote of Norfolk Southern’s shares over CSX’s objection, according to the suit. It notes further that the management of the Belt Line all have Norfolk Southern e-mail addresses, which they use to conduct business at the Belt Line. While containers from CSX and Norfolk Southern trains are hauled to the port’s second-biggest terminal, Virginia International Gateway in Portsmouth, by another short-line railroad, containers from CSX trains can access NIT only by the Belt Line operating over tracks owned by Norfolk Southern. Norfolk Southern, in conspiracy with the Belt Line, has operated the Belt Line as a vehicle for advancing Norfolk Southern’s interests at the expense of their contractual duties to CSX, the suit alleges. While the Belt Line is named as a defendant in the case, CSX’s suit also includes a “derivative action” on behalf of the Belt Line and its shareholders, alleging that the individual defendants have breached their fiduciary duties to the Belt Line. While NIT has been growing and expanding its revenues in recent years through greater volumes, the Belt Line’s “revenues have tellingly remained flat or decreased,” the suit states. CSX recently proposed that the Belt Line set a competitive rate and improve its services, including the use of CSX’s own engines and fuel to perform the Belt Line’s services, it adds. The proposal, however, was “summarily quashed” by the Belt Line’s board and management, despite projections that it would have grown the Belt Line’s business and revenues, the suit alleges further. The case’s nine counts include conspiracy to restrain trade against Norfolk Southern and the Belt Line, along with monopolization and breach of contract against Norfolk Southern, as well as the derivative claim of breach of fiduciary duties, made against the individual defendants. 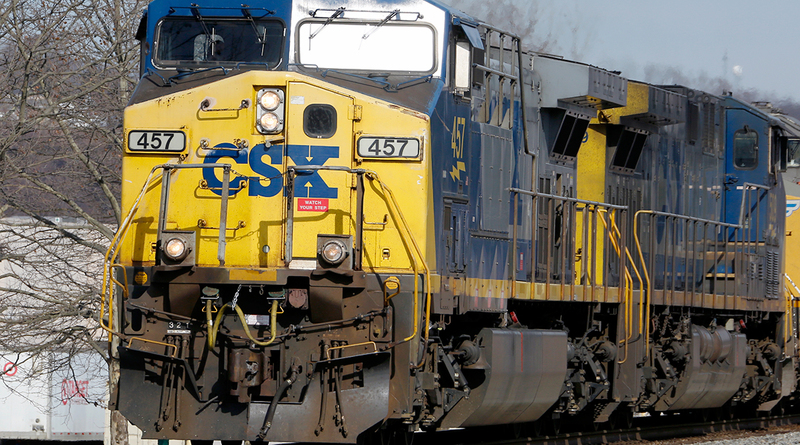 CSX’s suit, which requests a jury trial “on all counts so triable,” seeks unspecified compensatory damages and punitive damages to be determined by the jury. In addition, it seeks two injunctions: The first is to prohibit the continuation of the violations of federal and state law alleged in the suit. The other is the restoration of CSX’s right as a co-equal shareholder and/or the creation of an independent board structure, along with approval of the service proposal made by CSX to boost the Belt Line’s financial position. CSX’s lawsuit was filed as a nearly $700 million expansion unfolds at the port’s two big container facilities, including NIT. The General Assembly specifically approved a state-backed $350 million bond package for the NIT project in 2016. NIT has an annual capacity of about 820,000 containers, but the expansion will allow it to move another 400,000 boxes. Distributed by Tribune Content Agency LLC.